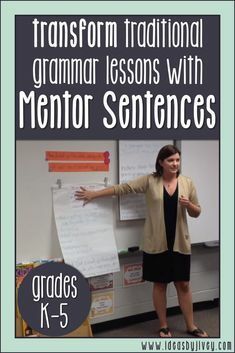 Remember, the idea of using mentor sentences is to move AWAY from teaching grammar in isolation. 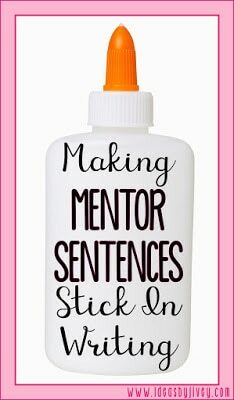 This means, don’t have a “mentor sentence time” in isolation either! 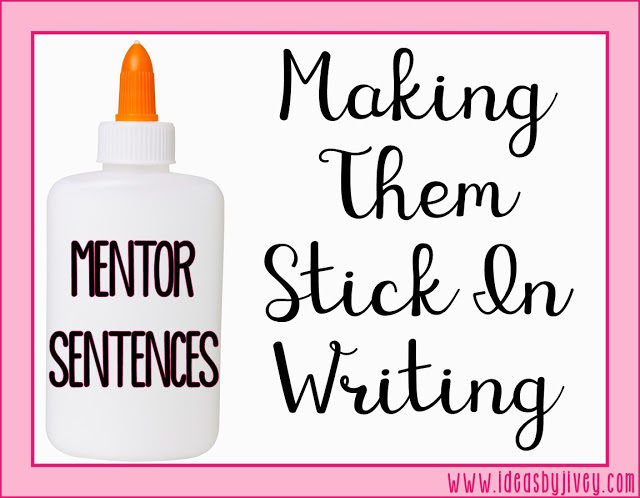 Mentor sentences must be woven into the fabric of your writing time. 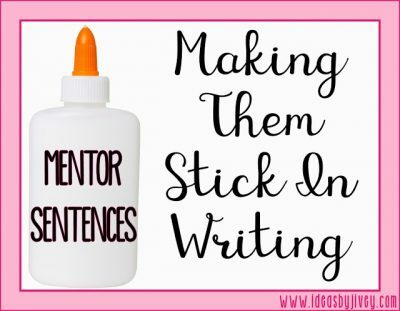 I know that sometimes your schedule may not allow for mentor sentences to happen at the start of your writing time, but no matter when it occurs in your day, your writing time should still include what is happening in mentor sentences. During writing, teachers must lead lessons (and/or model) about organization, ideas, content, word choice, voice, style, and conventions. 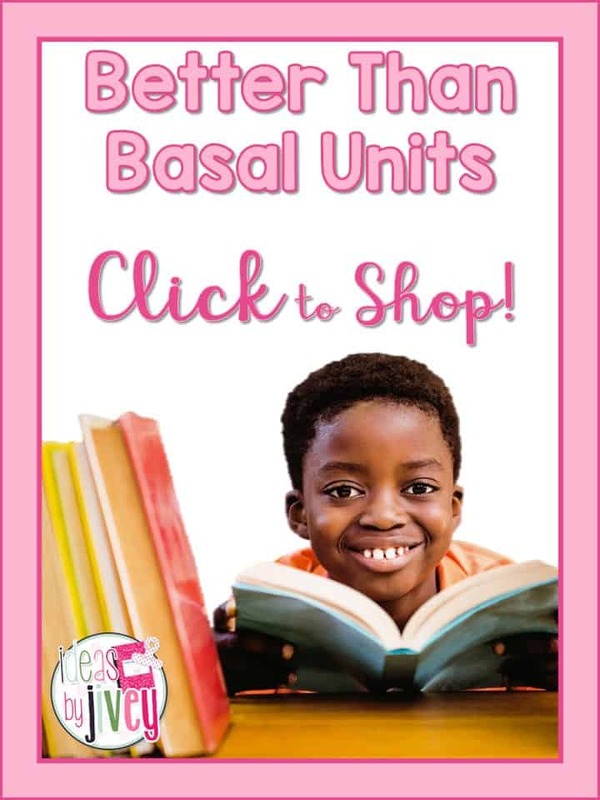 That’s a LOT of components to be taught, right? 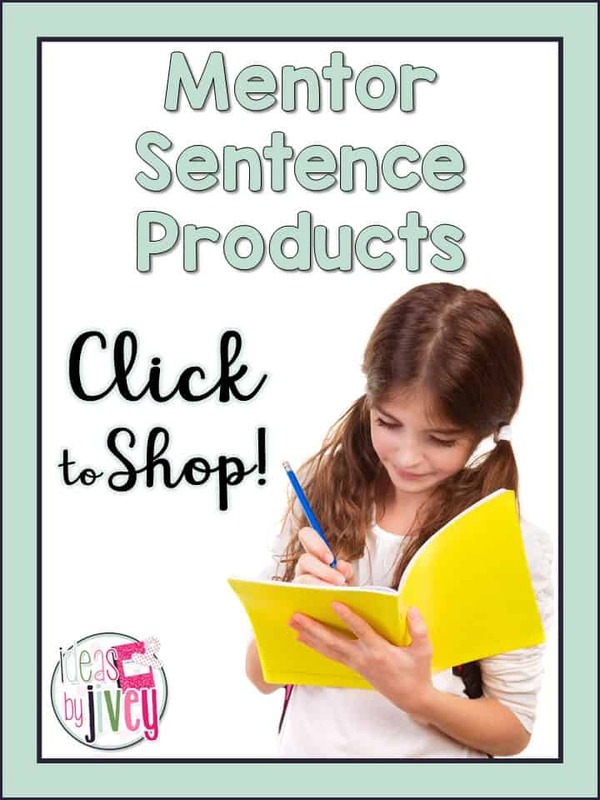 Luckily, mentor sentences covers a lot of your word choice, style, and conventions lessons and modeling! And just like with anything else, the more exposure they have to these components, the more they will understand and start to actually use them! 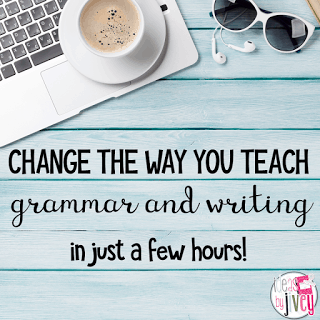 But, of course, showing them in a ten minute lesson and then “moving on” to something else in writing is NOT going to help them apply those word choice, style, and conventions lessons. 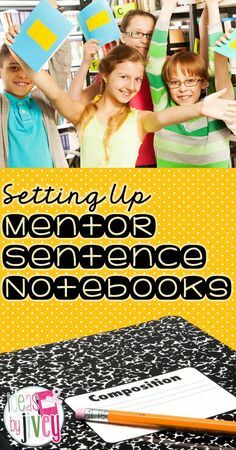 First, I would urge you to make the mentor sentence student notebook a RESOURCE and not just another notebook. 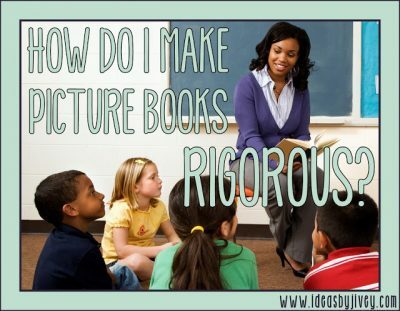 You can read all about how I set up student notebooks here. 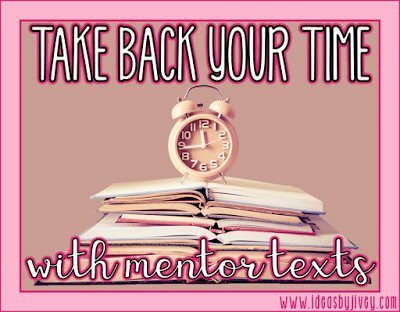 If you have students draft OUTSIDE of their mentor sentence/writing resource notebooks, they can actually flip through the notebook as a resource to get ideas. (It’s difficult to flip pages in a notebook you are actually writing in, right?) 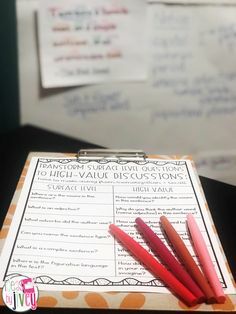 This is something you will have to model and train your students to do, but after a while, you’ll find that the students use their notebook as a resource unprompted! 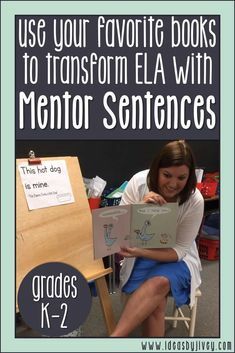 On Monday, you introduce the sentence and talk about what the students notice during the Mentor Sentences lesson. 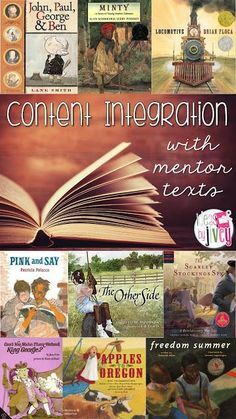 Because you’ve only introduced the sentence, this is the perfect day to also use the mentor text that the sentence is from to get in an organization, content, or ideas lesson to work on during writing. 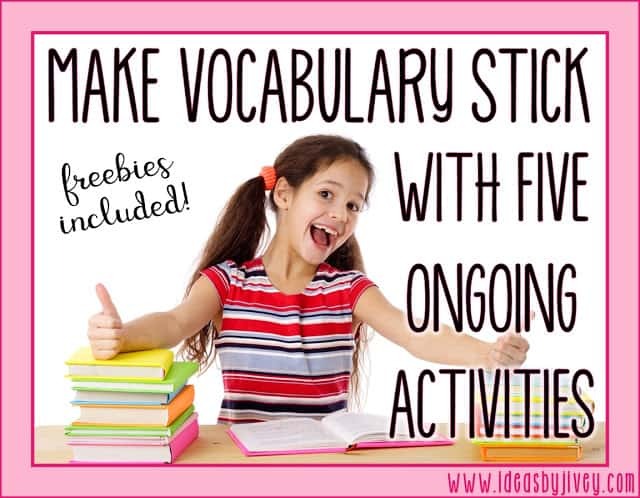 This lesson and text model should be referred to all week long, as well as the focus skill from your Mentor Sentence lesson (which you’ll introduce on Tuesday). On Tuesday, students work on seeing how the parts of speech work together in the sentence. 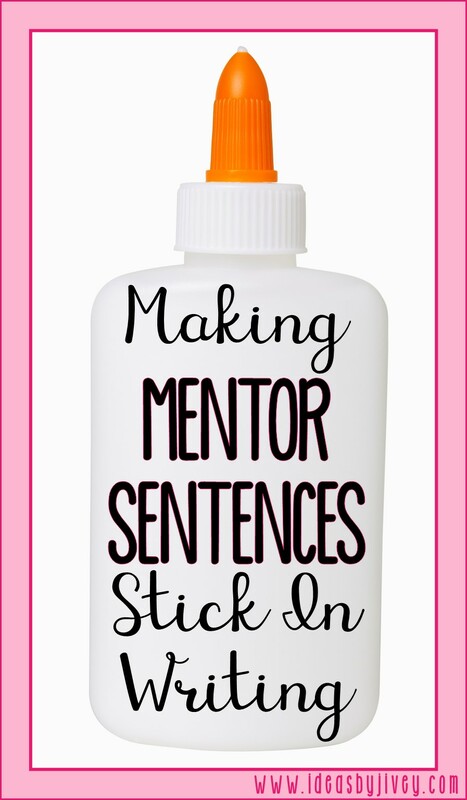 This should also be the day you focus solely on the focus skill from the mentor sentence. 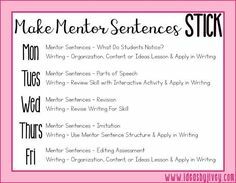 You can introduce (or review) the skill by using the Interactive Activity Companions that go with each mentor sentence lesson. 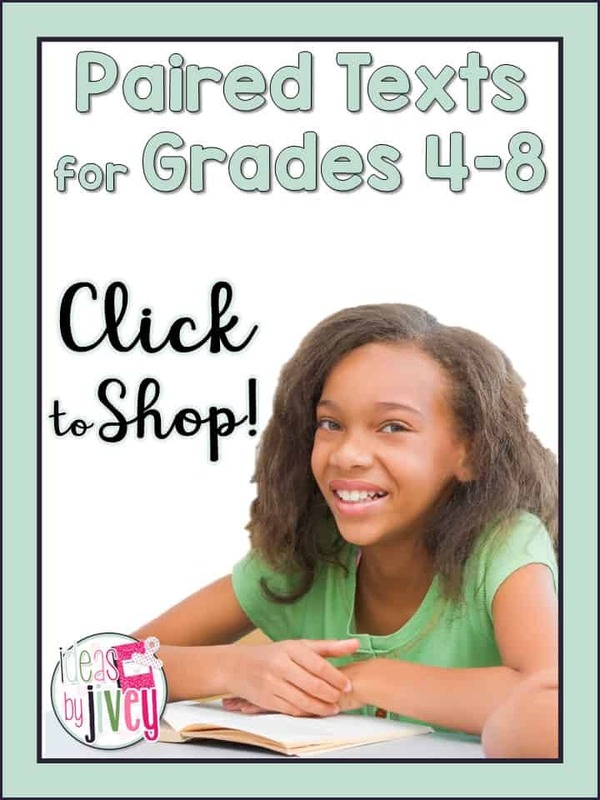 This will be your “writing mini-lesson.” Typically, these are conventions lessons, but sometimes are word choice or style lessons (figurative language, descriptive language, etc). 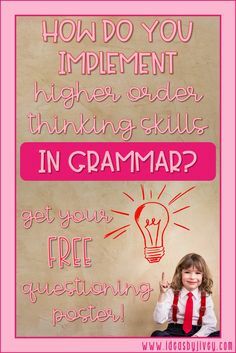 Have the students practice this skill in their own writing after the focus skill mini-lesson. 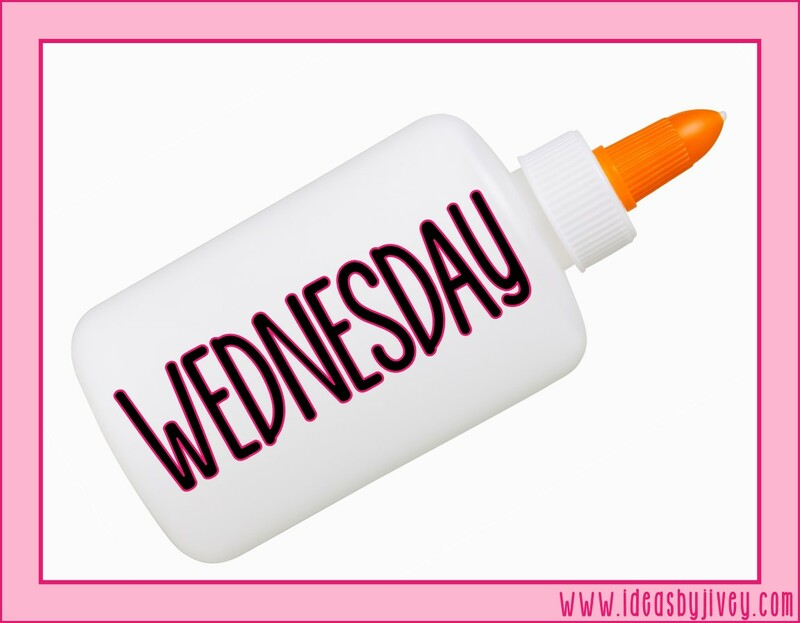 Wednesday can become REVISION DAY in your classroom during writing time. Practice revising with the mentor sentence, then have students revise for that same focus skill in their own writing. But what if my students aren’t done drafting? So yes, on Wednesday, no matter how long their writing piece might be, have students work on revising. 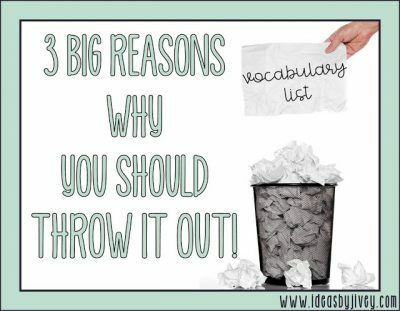 You could even have students look back at older writing pieces (not just current) to look at how they could improve them. On Friday, you’ll give students the assessment to see how much they understood the focus skill from the week. 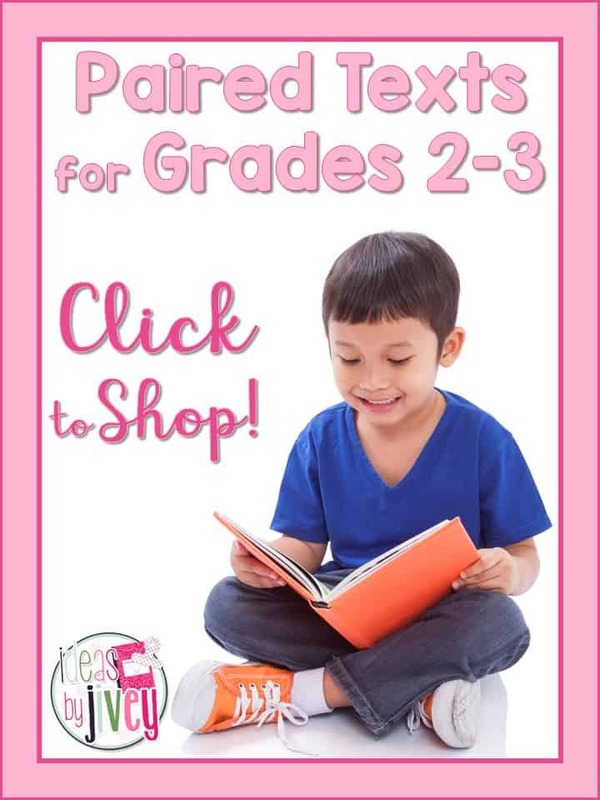 If desired, you can deliver another organization, content, or ideas lesson for students to work on during writing, or students can continue applying relevant skills they have already learned. Please understand that this is a framework, or outline, to help give you an idea of how you can incorporate mentor sentences into writing, but how you deliver it all is dependent upon your style (small groups vs. whole group, conferring, etc). 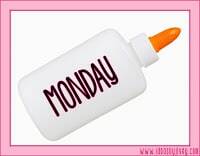 This is certainly not the only way to “get it all in” and “make it stick” but it is what worked for me! 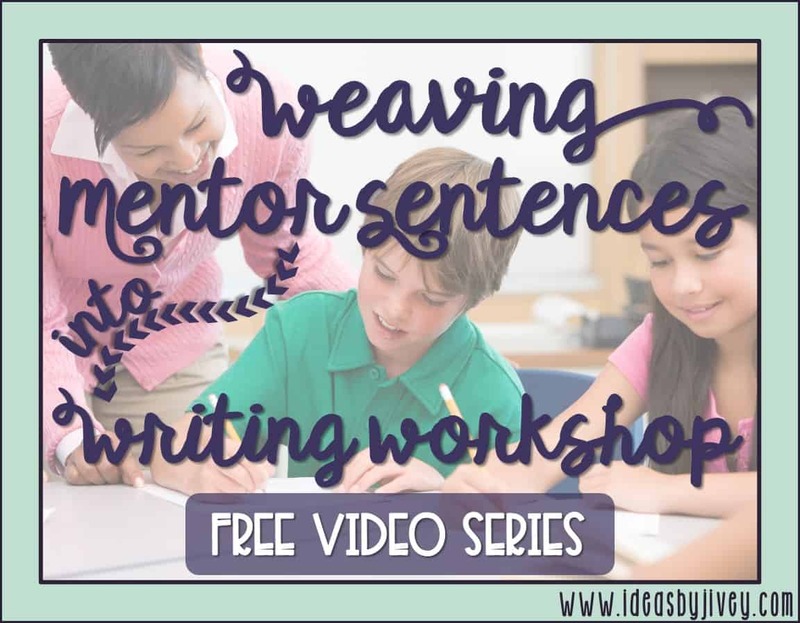 Check out a video series I created to Weave Mentor Sentences into Writing! 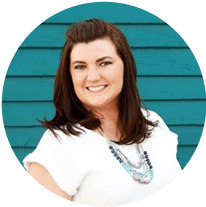 If you want even more IN-DEPTH step-by-step help with implementing mentor sentences, check out my courses! 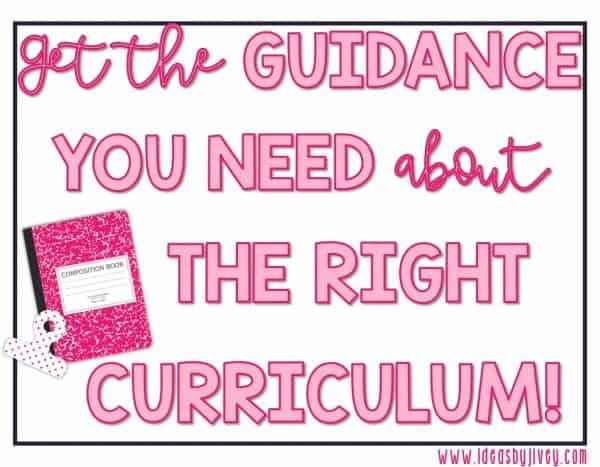 If you are looking for guidance to pick the “just-right” bundle for your needs, click below! For even more ideas, follow my Pinterest board! 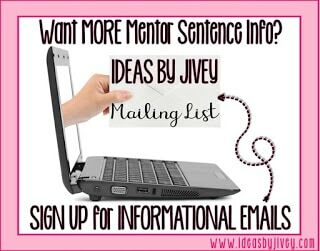 Follow Ideas By Jivey’s board Mentor Sentences on Pinterest.